Design/Build means all-in-one. Westbridge Homes has the unique advantage of working with the best skilled laborers on the Grand Strand. Thinking of remodeling? 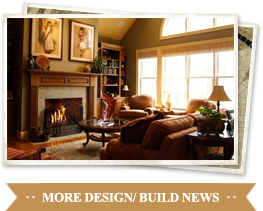 You wont need to consult multiple designers & builders. One meeting with us, and you’ll have the best in the business at your disposal. A glance at our process will illustrate just how we achieve this. It’s the careful planning we do before beginning construction that ensures a project’s success. Years of designing & building custom homes in & around Myrtle Beach has allowed us to build great relationships. Not only with past clients, but with the Grand Strand’s finest designers & specialty builders. We developed this strategy to avoid some of the hassles commonly associated with home building & remodeling. Each project requires a number of specialty skills. This means forming professional partnerships with outside designers & builders is essential. Westbridge Homes has built its business on leadership & the ability to communicate efficiently.